We are an organisation that promotes and supports voluntary and community groups across Arun and Chichester. Based in Bognor Regis with a network extending across the two districts, we help the sector to develop by supporting existing group as they grow and by providing advice and training to new groups as they are born, guiding them as they develop and assisting them in navigating potential pitfalls. We provide advice and training for new groups as they are set up. We aim to ensure that the voice of the local voluntary and community sector is heard. 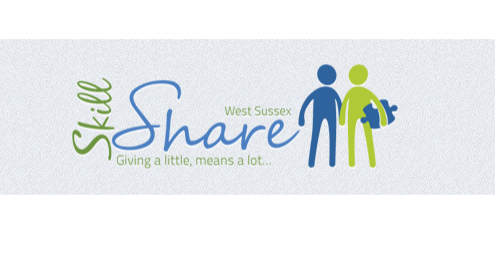 Skill Share West Sussex is a free initiative designed to provide bite-sized volunteering opportunities of between one and ten days to students, professionals and businesses. The idea is that good volunteering opportunities should be more easily available to those who want to help their community or charity, but can’t promise a long commitment or regular hours. Volunteering opens up incredible opportunities and experiences, with Skill Share West Sussex volunteering is more accessible. The opportunities are provided by over 350 Volunteer Centres in England and more than 300 national and regional charities, representing 28,000 organisations. In addition, we provide our database of volunteering opportunities via our Do-it syndication service to partners who can display their opportunities on their own sites, in their own ‘look and feel’. Each month, Do-it attracts an average of 130,000 visitors. Of these, 54,000 people go on to register for at least one of the opportunities listed. Do-it provides details of around one million opportunities to volunteer throughout the UK, any of which can be found with a simple postcode search.